New York, May 15, 2014 — John Townsend, Co-Chair of Hughes Hubbard & Reed’s well-known International Arbitration Practice, has been elected a Vice President of the Court of Arbitration of the London Court of International Arbitration (LCIA), effective July 1, 2014. The LCIA is one of the longest-established international institutions for commercial dispute resolution. Its Court of Arbitration deals with the selection and appointment of arbitrators, challenges to arbitrators, and is the final authority for drafting the LCIA’s arbitration rules and issues arising under those rules. The LCIA Court is headed by a President and seven Vice Presidents. When Townsend takes office, he will be the only Vice President of the Court from the United States. Townsend was elected a member of the LCIA Court one year ago and will serve as Vice President until his five-year term on the Court ends. Townsend also serves as one of the American members of the Panel of Arbitrators of the International Centre for Settlement of Investment Disputes (ICSID), having been appointed by President George W. Bush for a six-year term in 2008. ICSID, which is affiliated with the World Bank, is the world's principal forum for investor-state arbitrations. 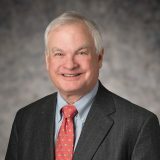 Townsend served as Chairman of the Board of Directors of the American Arbitration Association (AAA) from 2007 to 2010 and as Chairman of the Executive Committee of the AAA from 2004 to 2007.